FI 2014 brought the top honchos of the retail fraternity together. The panellists highlighted the growth opportunities available in the retail and e-retail business in the country. 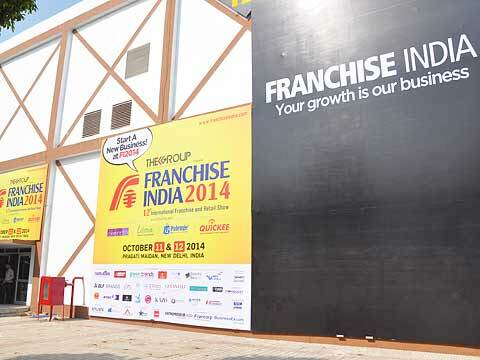 Franchise India Holdings Limited hosted its biggest show – Franchise India 2014 at Pragati Maidan on 11th - 12th October 2014. During the two-day Entrepreneurship Summit organised at Franchise India 2014, major retail experts marked their presence at the gala show to highlight the retail scenario of the country and to facilitate business opportunities. The Indian retail sector is estimated at $520 billion and is amongst the largest employers in the country. By 2018, the Indian retail sector is likely to grow at a compound annual growth rate (CAGR) of 13 per cent to reach $950 billion. Besides, food and grocery segment is the largest category within the retail sector (60 per cent share) followed by the apparel and mobile segment, according to the IBEF report. Discussing about the prospects of the retail sector, the panellists in the session were highly optimistic about the future of the retail scenario in India and the flow of e–retail in the country. Further, the delegates were discussing about the fact that how the economic, cultural, and technological changes have influenced the overall consumer behaviour leading to a change in the retail scenario of the country. This event brought top honchos of the retail fraternity on the same platform. The panellists highlighted the growth opportunities available in the retail and e-retail business in the country. The panel included – Alokendra Banerjee, Director of National Textile Corporation; Narresh Mehtta, CEO of HiDesign; Vikram Raizada, CEO of Tara Jewels; Samir Sahni, Director of JDS Apparel; Sayed Habib, Business Head of Danube Home; Deepak Aggarwal, Director of Kazo Fashions Ltd; and last but not the least Steve Rosenblum, Founder of The Kase. The interactive session on – ‘Realty of retail, the experience is in the brand’ was moderated by Devangshu Dutta. Wherein, the panellists were sharing their views on strategies that retailers should adapt to ensure success in their business. Another significant trend that was highlighted in the session was that the Indian retailers will gradually embrace the omni-channel retail model. Experts also discussed about the fact that there has been a remarkable shift in the consumer behaviour regarding brands and retail. Furthermore, the panellists also focused on the challenges faced by the retail industry, and how brand partnerships could be more lucrative for companies and industry as a whole. The session was followed by an interactive question and answer round with audiences raising issues about how to build a sustainable retail operations and management system. In a nutshell, the session highlighted the challenges and growth prospects of the retail industry in the milieu of digitisation.